The Coropration between RNA and Asyril’s award-winning series of Asycube flexible feeders offers high performance part feeding, pre-orientation and optimal surface distribution of bulk parts and components. 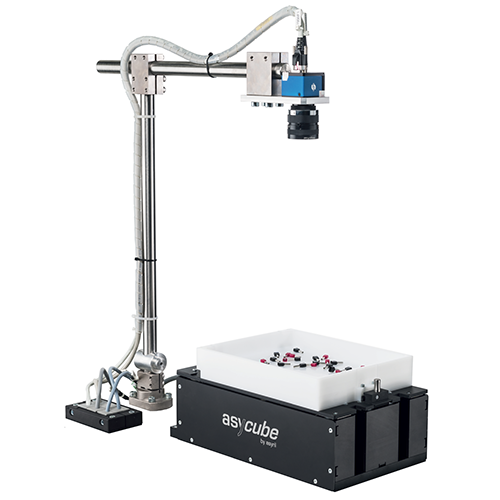 The systems can be used for parts and components from <0.1 up to 150mm in size. The innovative 3-axis vibration technology can handle bulk parts of any geometry and allows for extremely gentle part feeding.